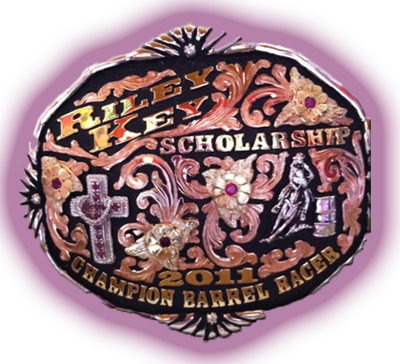 CHECK OUT OUR NEW SPONSOR! 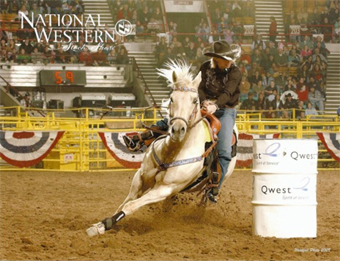 We are proud to annouce that J2 Barrel Horses is now affiliated with Circle Y Saddles - America's Leading Saddle Brand!! 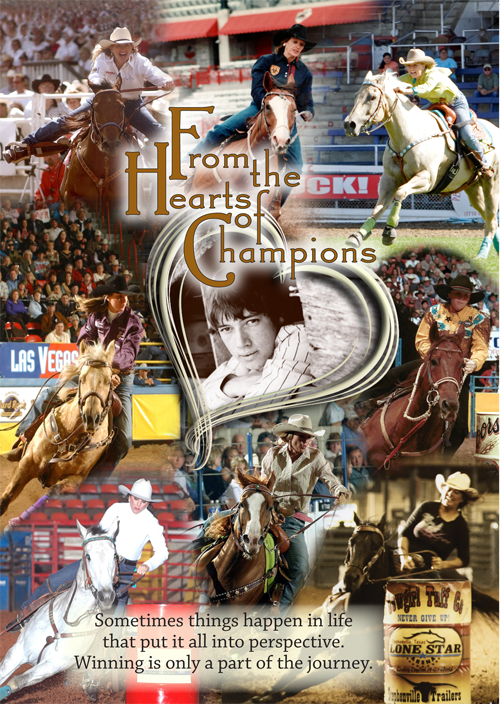 "From the Hearts of Champions" DVD NOW AVAILABLE! 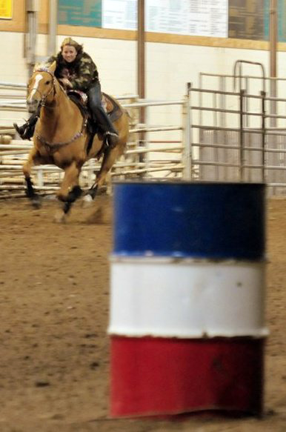 Hanks Sweet Label aka Marilyn Monroe aka SUPERMARE! 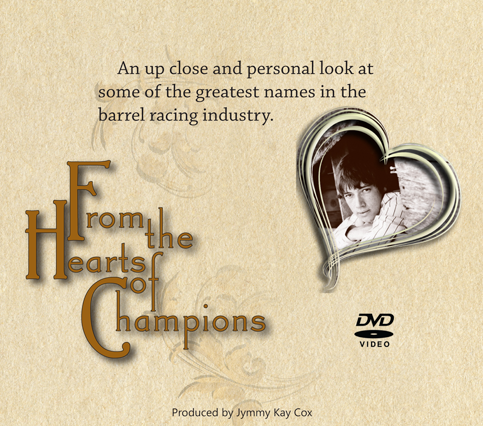 BUY THE DVD NOW WITH YOUR PAYPAL ACCOUNT! 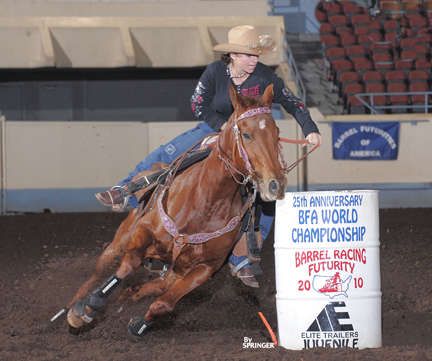 Tammy Fischer and Roundpen, Kristy Peterson and Bozo, Jackie Jatzlau and Princess, Kappy Allen and Chris, Kay Blandford and Angel, Liz Pinkston and Jed, Jymmy Kay Cox and Fuzzy, and Sherry Cervi and Stingray. 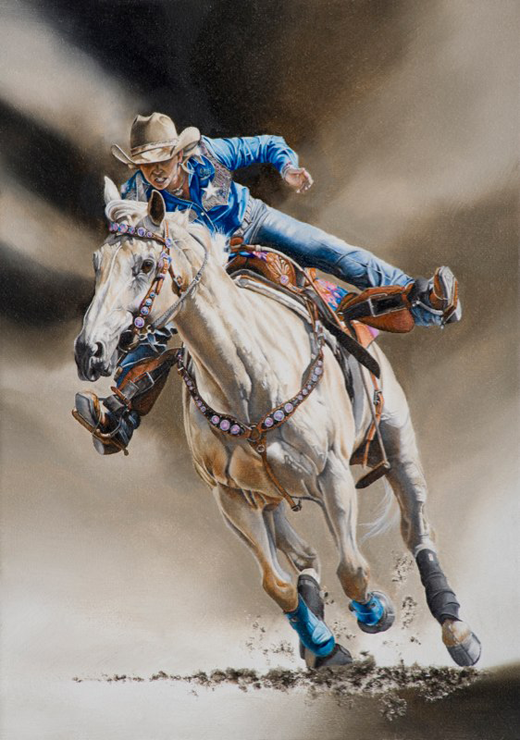 Jackie and Princess at the 2009 National Western Stock Show in Denver, CO.
A really awesome painting done by Scott Stuart. This was at the Calgary Stampede Art Exhibition. 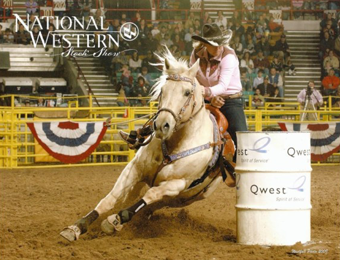 Jackie and J-Squared Barrel Horses proudly endorse and use these great products! We couldn't make it down the road without them! Click on the links or contact Jackie for more information about any of them. 2008 © All rights Reserved | www.jackiejatzlau.com | site built by her loving husband!